Futuristic and fantastic - the IO Kids Design has nailed both briefs in creating the Bunk Pod. Bunk beds are a childhood favourite and a great space-saver – and oh boy, have they come a long way! These are some of the most amazing and beautiful bunk beds you’re likely to see. First, though, a reminder: KidSafe Qld points out that while bunk bed injuries occur most commonly in children aged four to six, they're not recommended for children under nine. They also advise that bunk beds should have guard rails, a fixed ladder and the Australian Standards tick of approval. Read more of their bunk bed guidelines on the KidSafe Qld site. If you're still interested in these double dream-makers, read on! The brilliant bunks from Oliver Hayden are left of centre and ultra stylish. With a touch of whimsy, they’re likely to become heirlooms for those families with enough room to store these beauties. For minimalism in bunks, train your spotlight onto the Oeuf Perch Bunk Beds. But just because they’re streamlined doesn’t mean they aren’t versatile! These stunning bunks are available in Australia. Versatility and style also come to mind when describing the knock-out LoLo bunks produced by Casa Kids. 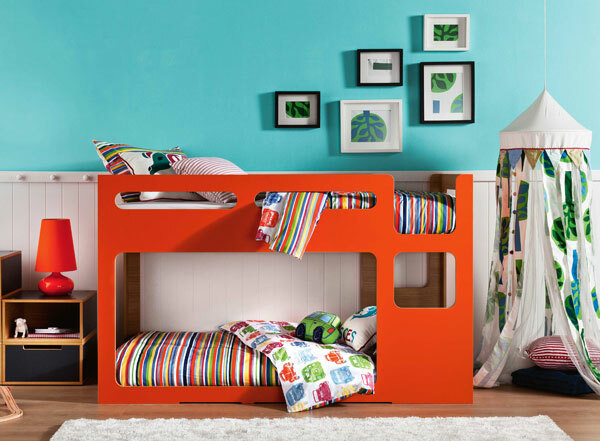 "Modern and sleek" are the only three words needed to describe the bunks from House Of Orange. Loft beds also have their place in children’s rooms, creating valuable floor space. Designed and made in Milan, Plyroom Loft beds just ooze Mediterranean style. Plywood is also the material of choice for Rafa Kids F Bunk - they look like a whole lot of fun. Futuristic and fantastic? IO Kids Design has nailed both briefs in creating the Bunk Pod. 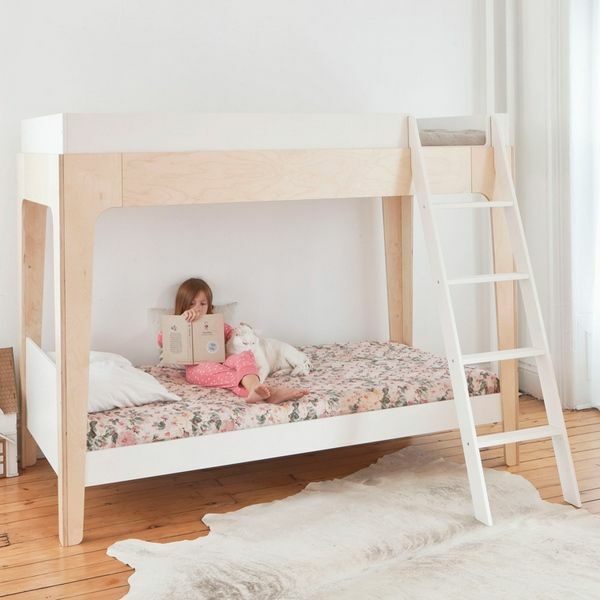 The super cool Lilly & Lolly Scoop bunk comes in two sizes – king single and single – in Tassie Oak or Satin White (or any Dulux colour of your choosing as an optional extra). The brand is made in Sydney, Australia. If space really is at a premium and your children are but babes, check out the amazing Convertible BunkCot. It plays out a bunch of different configurations suitable for babies to children up to the age of six. Finally, if the concern of soaring beds has you tossing and turning at night, this low-lying My Place Single Bunk Bed design will give you sweet dreams.